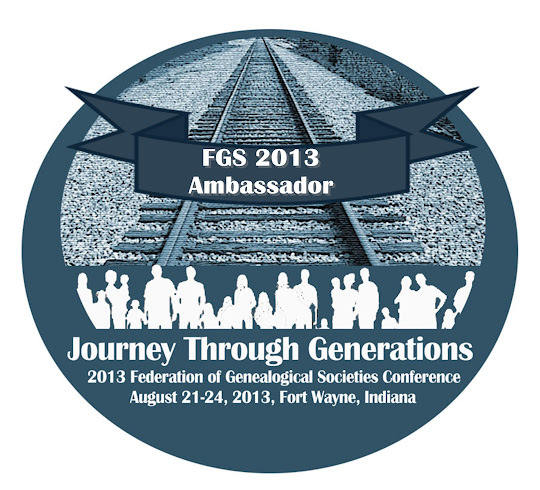 Earlier today, the Illinois State Genealogical Society (ISGS) announced that registration is now open for the 2013 Webinar series! This year’s lineup has something for everyone, from beginners to experts, and everyone in between. Webinars are a fantastic way for genealogists to learn more about research, methodology, records, and more. ISGS offers the live broadcast of their webinars to the public for free on the second Tuesday of each month at 8:00 PM Central. ISGS members have access to all the webinar recordings after they’re presented live. As the Education Committee Chair for ISGS, I will be attending all of the webinars. I’m looking forward to each and every one, but I am especially excited about a few in particular. Timelines: Placing Your Heritage in Historical Perspective with Laura Prescott on May 14. I love Laura, she’s a fantastic speaker and I always learn a lot from her presentations. And, I love timelines, so any new tips I can pick up is a bonus. The Research Calendar: A Resource You Cannot Live Without with Luana Darby on June 11. Many people have requested this topic and I can understand why. This is definitely something I struggle with, so I look forward to Luana’s tips. “To the Honorable, the General Assembly” - The Treasure Trove in Legislative Petitions with Judy G. Russell on September 10. Judy is a wonderful speaker and I am so glad she agreed to do a webinar for ISGS. It’s an interesting topic and I think it will open people up to a source that may be unfamiliar to them.